Why it matters: Just two years ago, women comprised only 23.9% of Esports audiences, but by the end of 2018 that number had risen to 30.4%, a shocking 27.2% increase. 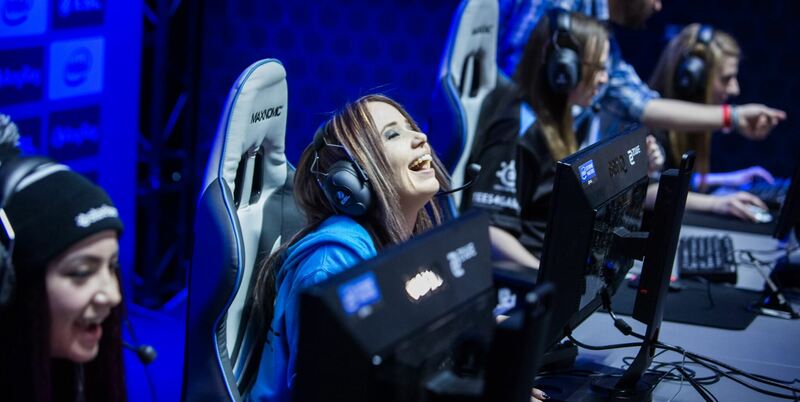 However, with women making up 35% of Esports players, it seems that the reasons behind the narrowing gender gap could be related to the way games and their communities are structured. “If two years from now, the female audience grabs an additional 6.5% in share, Esports viewership will be in gender parity with what we consider standard among traditional console and PC games,” concludes a new study from analyst firm Interpret, who surveyed 9,000 US residents every quarter for the last two years to determine how women are interacting with games. At present, women comprise 35% of Esports players, 30% of Esports audiences, and 20% of serious audiences (defined as following specific teams or tournaments closely). The statistic that women play as many games as men if often bandied about, but it’s an anomaly rather than a true description. Overwatch: 74% male. Counterstrike: 76% male. Rainbow 6 Siege: 77% male. The statistic comes from the inclusion of mobile games, of which women comprise 66% of players. So why are console and PC gamers mostly male, and why are mobile gamers mostly female? The latter is quite easy to answer. In the mobile space women are way more profitable than men, being 79% more likely to make in-app purchases after downloading. They’re 20.2% cheaper to convince to download an app through advertising. They’re also more likely to enjoy puzzle games over action or strategy titles, which are more expensive to make anyway. Tina Sanchez is one of the few female game producers in the industry. From the game studios’ perspective, it’s simple: making games for women is cheaper and more profitable. Thus, mobile game developers make more games catered to women and make advertisements targeting them. Is the same true for men in the console and PC space? That’s a trickier question to answer due to the limited research available, but in short, no. It’s true that a lot of marketing and community hype-building is targeted at male audiences, and this does impact the gender ratio of players. But it’s not actually sexist marketing, as men tend to spend more money in free to play titles and be easier to convince to buy AAA games. Instead, it’s the games themselves that are designed to exclude women – by accident. Game studios are usually about two-thirds male, but what that statistic conceals is that women usually have less influential roles, such as artists or character animators. It’s quite easy to see who the executives behind a game were - go check your favorite titles right now. The simple, unavoidable impact of this is that games revolve around male-preferred game mechanics, such as action and strategy, with fewer puzzles and other mechanics women prefer. The notable exception to this is Nintendo, whose studio and audience are both 50% female. Of course, there are other factors like discrimination that play a large role, too. But the increase in women watching Esports games is a sign of further changes to come. While not exactly an Esports title, the new battle royale Apex Legends includes many more elements popular amongst women, like teamwork, puzzle-based tactics and more focus on thinking a way through problems. One of its two producers is also a woman. It’ll be interesting to see how that shapes up in the next few years.